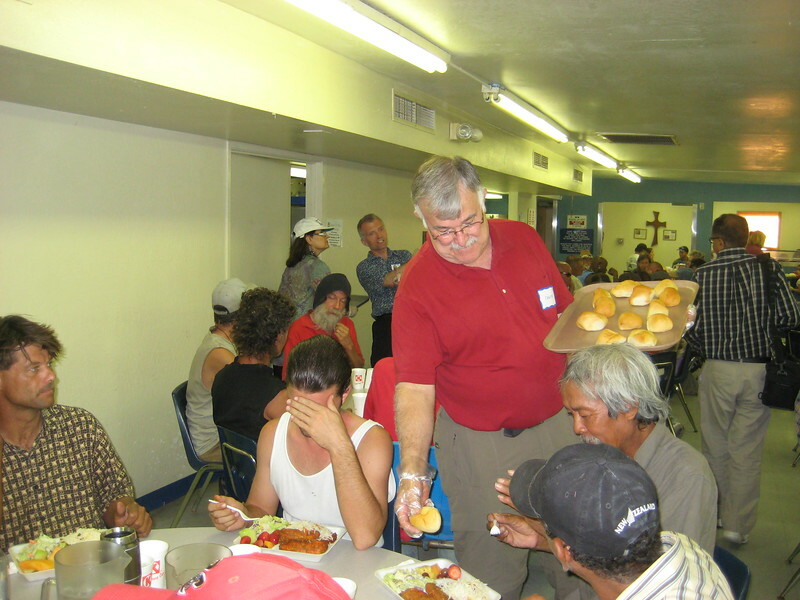 PHOENIX, Arizona — On Sunday, September 23, 2012, twenty-four Muslims and Christians joined to build peace and serve more than 200 halal meals at the Chris Becker Memorial Dining Room of Society of St. Vincent de Paul. The event was hosted by Trinity Mennonite Church and the Naqshbandiya Foundation for Islamic Education, and led by Drs. Ahmed and Zeb Mirza, Pastor Hal Shrader, and Mr. Eric Shenk. Volunteers paired into Muslim-Christian buddy groups and got to know each other with fun discussion questions about life, culture, and favorite faith heroes. Volunteers then enjoyed a tour of the church before proceeding to The Society of St. Vincent de Paul's where buddy groups worked alongside each other to serve the tasty tandoori chicken dinner. After all guests were served, buddy groups enjoyed a much-deserved break while dining together. Afterwards, Dr. Ahmed Mirza offered a closing prayer of thanksgiving for the new friendships made and for the bridges of peace and understanding built between both communities.